A fascinating premise is at the heart of this adventurous science fiction thriller. What if you could download your consciousness into a spinal disc (stack) that would allow you to switch bodies (sleeves) and never die? What would that do to your psyche and values? What would a society look like with individuals who can afford this expense, and those who can’t? In short, how would it redefine life as we know it? Ms. Kalogridis builds a compelling series of worlds and characters to move the story along and explore these questions, with mixed results. 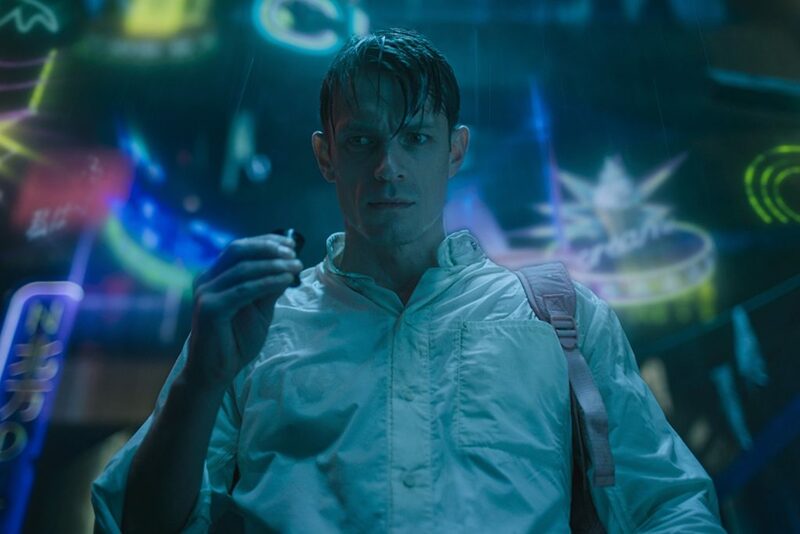 With visual elements reminiscent of Blade Runner and the futuristic portions of Cloud Atlas, the series has impressive world building, but doesn’t rise to the level of great noir nor sharp insight. Joel Kinnaman (House of Cards) is Takeshi Kovacs, a former military special forces operative who switches sides to the resistance 250 years before the first episode’s timeline, and awakens to find himself in a different sleeve. Mr. Kinnaman anchors the generally good cast which includes James Purefoy (Laurens Bancroft), Martha Higareda (Detective Kristin Ortega) and Chris Connor (Poe the A.I. hotel) – all standouts. I like the hard action of this 10 episode series, but wish there was more intellectual attention paid to the exploration of the thematic ideas. I kept wishing for smarter dialog and story structure, and less cliché, and the central mystery at the heart of the story could have been written a bit more sharply. There were moments in the latter episodes when the pace lagged a bit too. The science fiction elements, strong production value and anticipating how the central themes would play out kept me interested. It was a worthwhile binge and I’ll be happy to see another season of this Should See. This entry was posted in Television and tagged Netflix, Sci-Fi, Should See, TV.